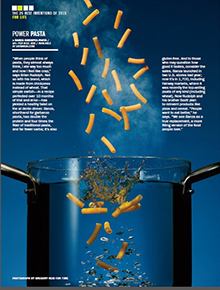 Banza pasta has been named one of TIME's 25 Best Inventions of 2015. If company growth is any indication, millions more will soon believe in Banza too. The Rudolph brothers enjoying some Banza together. 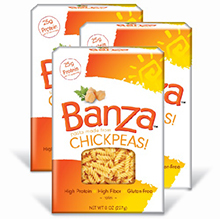 Editor's Note: Banza pasta is available online, at supermarkets, and specialty stores nationwide. Visit here for more information. 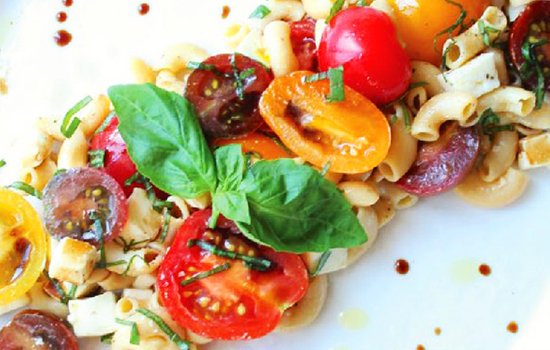 "I Connect with the People Growing Our Food"
Panciuto delivers rustic meals with refined elegance in a warm and friendly atmosphere. LinkedIn: The One New Year's Resolution You Can Keep! Maximize the power of LinkedIn with these winning strategies from LinkedIn Partner Program Lead for Europe, Middle East and Africa Hilal Koc 03C. Steve Sidman 97L has carved a niche in representing top chefs and musicians. Beef jerky that promises to raise the bar with flavor-packed varieties made from filet mignon. Want an Insider's View on the Best BBQ Joints? Follow the trail of "smoldering hickory and mesquite" to the best BBQ. Adam Richman 96C reveals his favorite meals, mouthfuls and memories. The Recipe Hunters track down favorite recipes and preserve them for generations to come. Rating restaurants is all in a day's work for Evan Mah 13C. Catherine Guthrie Bailey 99C offers a fresh spin on manners - and monsters. Need a gourmet destination? Check out these alumni-owned establishments. Lend your experiences to critical research. Emory Cares International Service Day: 70 domestic projects and 15 international. The City of Lights welcomes travelers. Want to grab a quick bite to eat on campus? Find out where to go and learn more about Campus Kitchens.